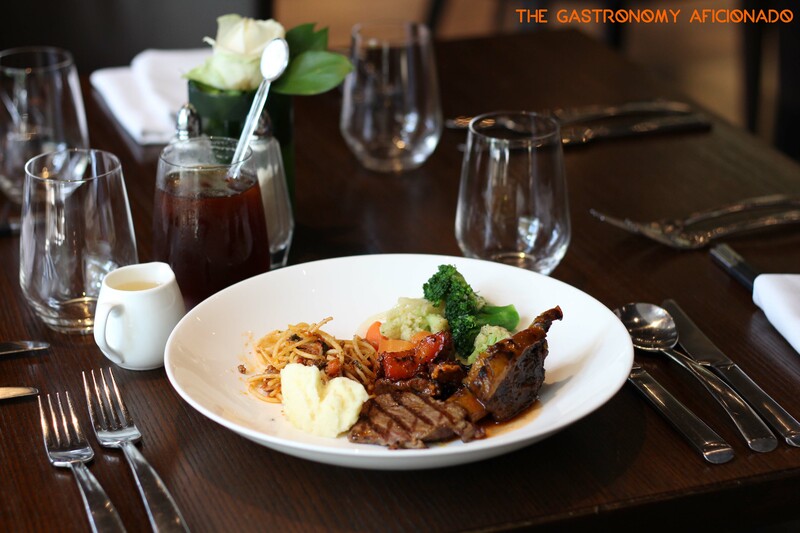 Despite the heavy competition between five star hotels’ all day dining restaurants in Jakarta, Rasa confidently presents itself as a restaurant with modest offering but with the richness of rasa in every bite of its food. To start with, fresh slices of sashimi and neatly made sushi was presented to my liking. 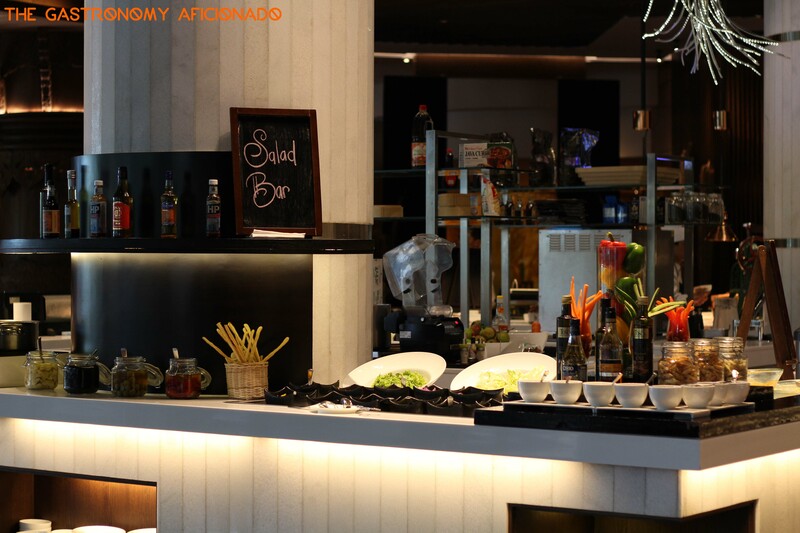 On the neighboring stations, you can create your own noodle and bakso with any ingredients, condiments and soup that you like as well as having a fresh salad with decent sidekicks beforehand. Other than that, the main dish station offers culinary selections from Indonesians, Indian, and Western cuisines which I found very satisfying. During dinner, you should give a try to the freshly grilled meat and sausages prepped outside by the pool. However be sure to check this first as this may only available for specific promotion. Apart from these, Rasa also presents its carving station for lunch and dinner as well as several kinds of cheese for the clincher. If you don’t fancy cheese as the dessert, then head for ice cream or cakes. But that’s all. 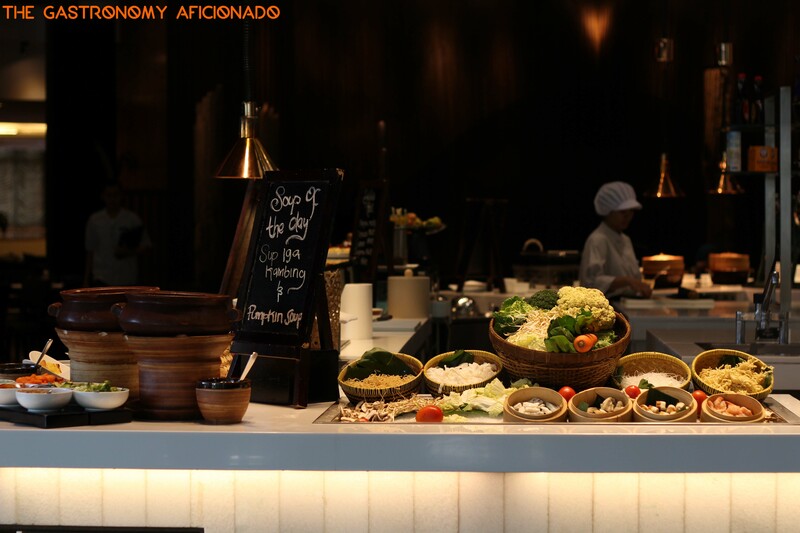 Even so, the quality and the freshness are the main factors that keep Rasa as one of my best buffet selections in Jakarta. On the downside though, I was hoping that at least there are two or three other interesting stations for us to try and to tell people that Rasa offers more than just the usual stuff in any given all day dining restaurant – unless if you decide to have Rasa/Scusa famous Sunday brunch! Previous PostTaking It To The Streets: Pisang Goreng ‘Asli’ Banyumas (The Foodie Magazine, Feb 2015)Next PostDish That I Crave: Anything from RM Sungai Kalu!